Environmentally friendly doesn’t have to be costly; at least, not when it comes to your indoor comfort. Geothermal heat pumps use the Earth’s stored thermal energy to cool and heat your home. You see—outdoor temperatures fluctuate season by season, but the underground temperature remains the same. So, by installing a geothermal heat pump, you’re actually cooling and heating your home with comfortable air found roughly four to six feet beneath the Earth’s surface, rather than expensive fossil fuels. At Clear the Air, our team installs and services WaterFurnace Geothermal heat pump units—the smartest choice for reducing your carbon footprint and utility bills, simultaneously. NATE-certified and fully trained, our experts will consult with you to discuss the needs of your home and to select the highest efficiency system. Once your geothermal heat pump is installed, you and your family can enjoy years of reliable, safe home comfort at a low cost. Proudly serving Houston and the surrounding communities, Clear the Air’s NATE-certified technicians are skilled in geothermal heat pump installation, service and maintenance. 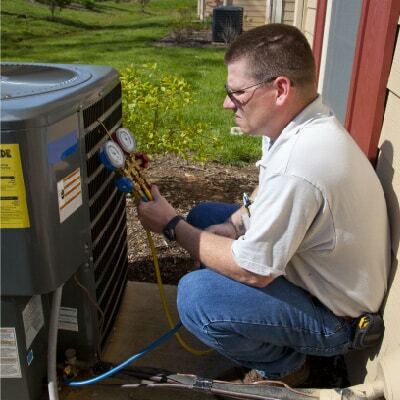 Our team is here, day or night, for your home comfort needs. To schedule an estimate or to speak with a team member, email us or call 281-612-1031today!